Thank you to all of you for taking the time to read and to comment! The pattern for the dress (in the last post) was in a Finnish sewing magazine years ago (I tried to find it, but somehow don't seem to find the magazine now), it was just a simple summer tunic; one seam in the back, bust darts in the front, slightly a-line, no lining. I have been quilting - a lot before, some might say - and oddly I loved binding the quilts and how the binding added the final touch. I use bindings to attach the lining to the outside and to finish the raw edges of the neck and sleeve openings instead of facings. I have also adjusted the length and the amount of A-line shaping. In the future I think I will try to make a collar and might try to add sleeves. This dress is my ongoing project, sort of like a starting point. At first my main focus was to get the upper part right, so that the neck line and the shoulder seams and the sleeve openings would be just right. Some have pockets while others don't. The pattern is very simple and I think that is the beauty of it, it leaves a lot to the imagination to work with. Anyway, I said or at least thought that if I ever made a granny square blanket, I should stop altogether making stuff. 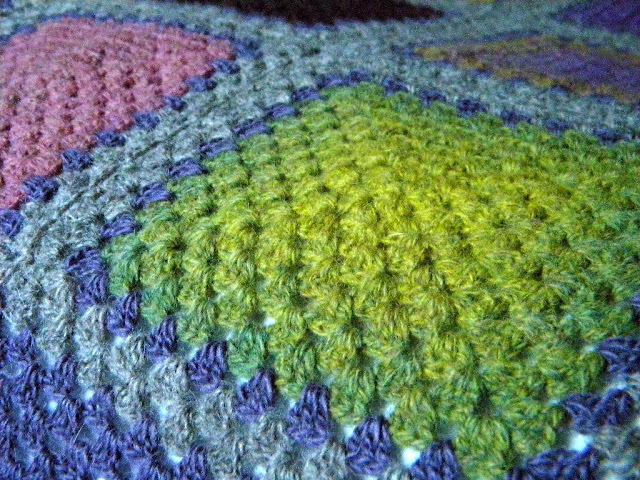 Then to my amazement, a parade of beautiful granny square blankets and other things granny began marching over the screen. I was speechless, never mind what I said before. I wanted to make granny squares!! This little blanket has grown very slowly and it ended up quite small, because I did not have more of the center square yarn (Kauni two-ply). I only wish I had the color eye to make these bright and happy blankets I have seen in the web, mine is quiet and maybe little shy, it is almost like it was saying that I wish I had the courage (the green squares) to be bright, but all the browns and light reds sort of hush her down. and a new bracelet tumbled off the crochet hook. These bracelets are pure joy to make. 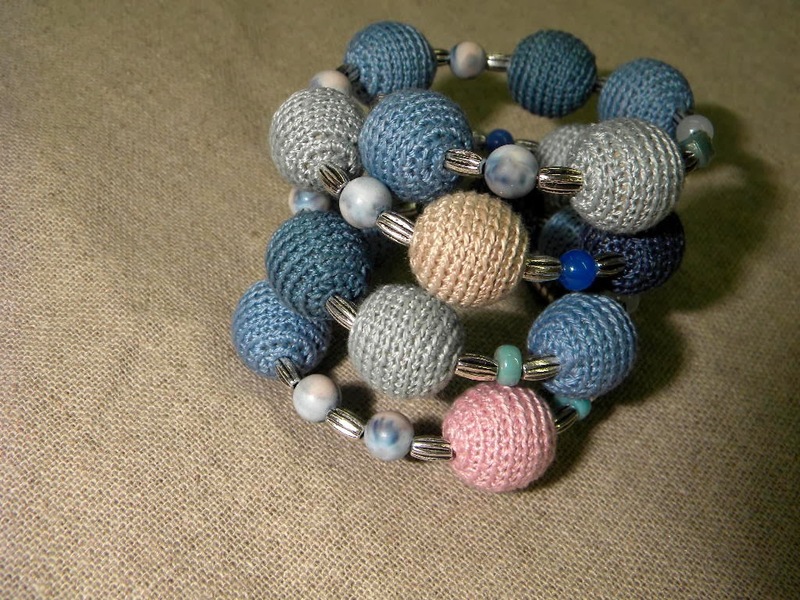 You could definitely knit the beads - see Betsy's work for some inspiration. This is all for now. It has been snowing the whole day, heavy snow with lots of water in it. I better get out and do something with it. I don't think waiting for it to melt is a good option. Your granny squares are beautiful! I felt as you did and then lately found myself attracted to them. Now you have inspired me to go to my stash and start! Your blanket is beautiful - with a fresh modern look to it! 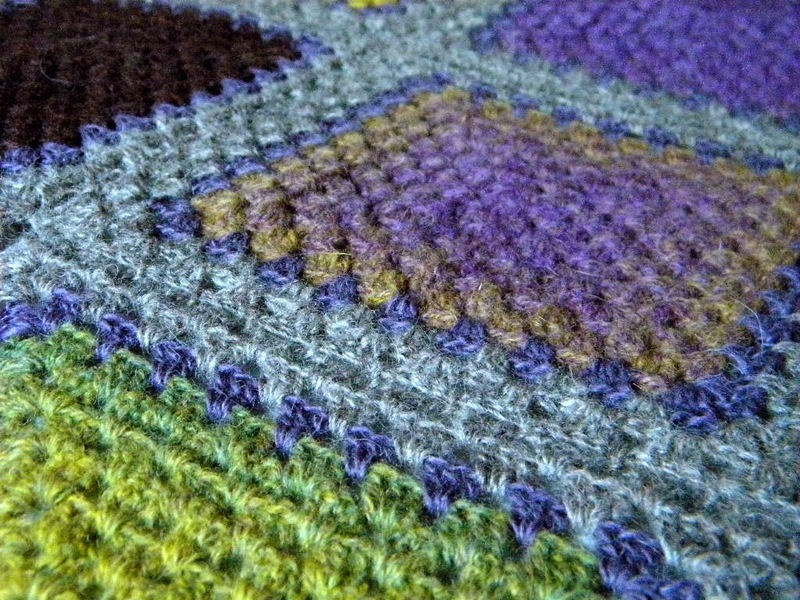 I remember granny squares being more "open" and not as tightly knit as yours...yours are much nicer and warmer! Please look at masondixonknitting.com when you have a minute. 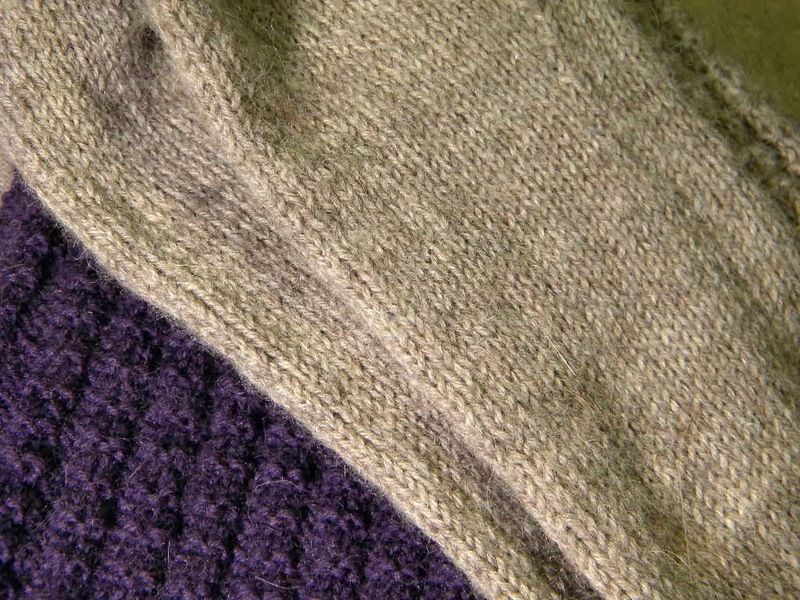 Click on "MDK" patterns across the top of their blog and click on blankets. They have some unusual designs that are just beautiful! And your bracelet that "just fell off your needles"...amazing! 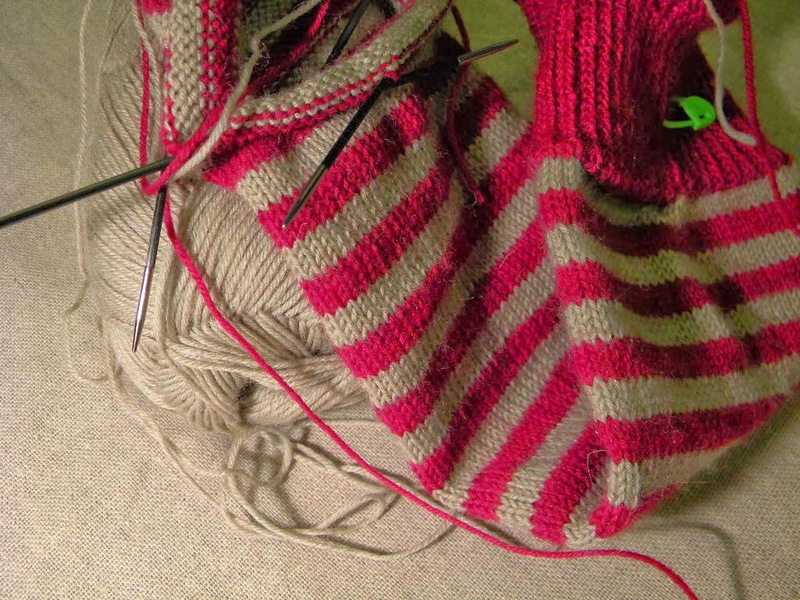 The only thing that ever falls off my needles are stitches! You are so very talented - I want to be you in my next life! No no no! Your blanket does not need to look like other blankets! It needs to look like itself. It is beautiful. Granny squares can be beautiful! Your blankie looks lovely and warm. 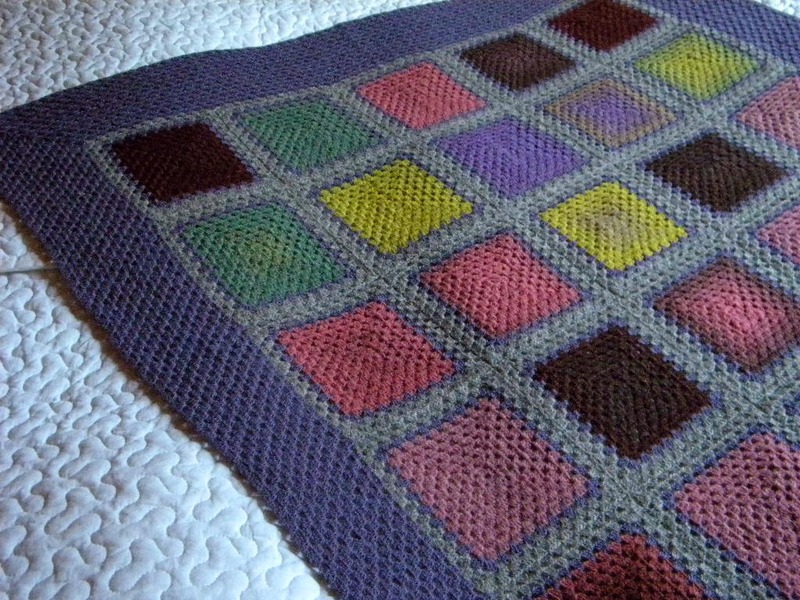 your granny blanket is art! i really like the fine yarn granny blankets i see often. when i sit down to make one, that will be my spring board. im so glad you still take time to share your photos...i love them very much! Resistance is futile! I am off to Craftsy to learn how to make those wonderful beads. I understand how you feel about granny squares. I do, too, although I enjoy occasionally making them! I never thought I'd use the words "elegant" and "granny squares" in the same sentence, but your granny squares blanket is elegant and all grown up. Very tastefully done in your inimitable, lovely style. The blanket is absolutely gorgeous. I am new to crochet, I never loved it until... I saw some granny-blankets. So I took a hook and got started. But yours is... just gorgeous. Everything that you make has such a beautifully finished look to it. I really enjoy reading your blog and seeing all your crafts. You are a very talented woman. I hope you will always blog. I have been following you for several years and your words are like pearls. I love anything that you write. You are one of the most creative people I have ever come across and I hope you will blog for many years to come! 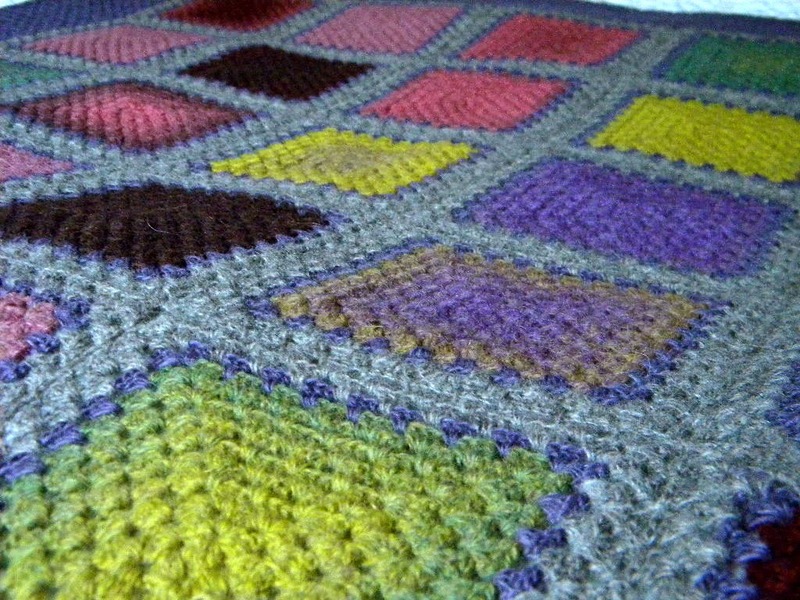 Your crochet granny square blanket is lovely as is all your work. Your work is so very beautiful. Would you please share your granny square pattern? Thank you. Your work is truly beautiful. Would you please share your granny square pattern? Thanks so much for sharing your talent!